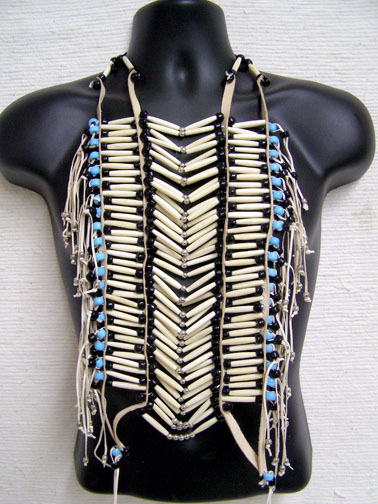 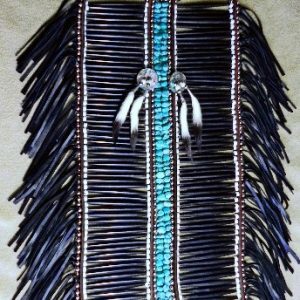 They are made using genuine bone hair pipes, silver color metal beads, glass crow beads with leather spacers & fringe. 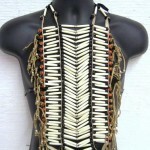 Each breastplate has black ribbon ties about the neck & waist. 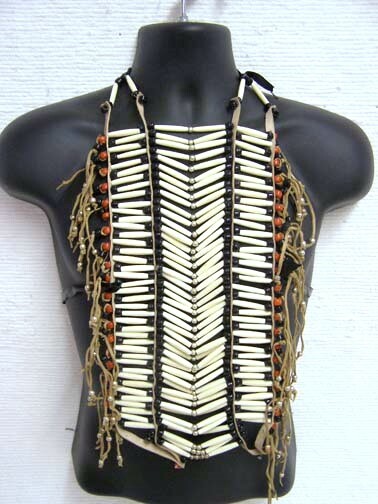 The breastplates measure approx 9 x 15″, give or take as much as an inch on some. 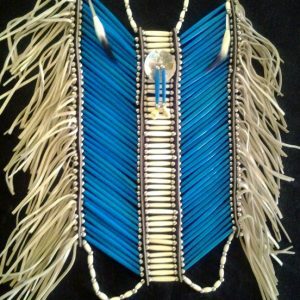 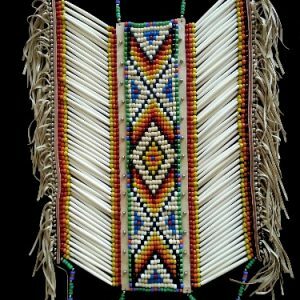 This breastplate is available with either red or blue glass crow beads. 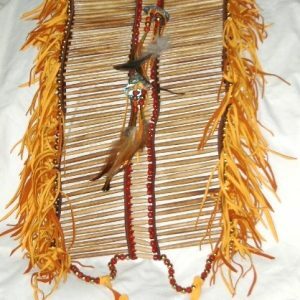 Please make selection before adding to cart.